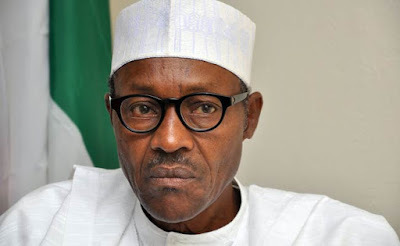 The leadership of the Arewa Consultative Forum, Afenifere, the Middle Belt Forum and other groups have told President Muhammadu Buhari to end attacks by herdsmen, killings, kidnappings and other vices in the country. The groups, which decried the level of insecurity in the country, told the President to act promptly to save the country. The group spoke through its chairman, who is also a former Inspector-General of Police, Ibrahim Coomasie, in Kaduna on Tuesday. Coomasie said the killings, as well as kidnappings, particularly of the 110 pupils of the Government Girls Technical College, Dapchi, Yobe State, and other vices had portrayed the North and the country in a bad light. The former IG spoke when the ACF played host to a northern women socio-cultural group, Jam’iyya Matan Arewa at the national headquarters of the group in Kaduna. He said the ACF was gravely concerned about killings in the region. The former IG called on the Buhari administration to do all within its powers to end the killings and kidnappings of Nigerians, particularly women and children. He said, “We all know that without the North, Nigeria can never survive. But now is the time to walk the talk in the interest of our people. “Chibok girls are still missing. Now kidnapping has gone to Dapchi in Yobe State. What happened? Are we always going to be the victims? Boko Haram; see what they did to the North-East. The members have spread to the North-Central and even to the southern part of the country. “Whenever there is crisis, women and children are always the major victims. Enough is enough; enough of killings of our women and children; enough of kidnapping of our daughters and enough of destruction of our property. The pan-Yoruba cultural group, Afenifere, also decried the level of insecurity in the country, vowing to protect Yorubaland from possible attack and invasion. In a communiqué released on Tuesday at the end of a summit by the group in Ibadan, Oyo State, which had the theme, ‘The Yoruba nation; For a better today and tomorrow,’ Afenifere expressed disappointment at the rate which prominent Yoruba businessmen were losing their positions in major industries, while also calling on Yoruba people in government agencies to be conscious of their responsibilities to the race. Among those who were at the summit were a former Oyo State governor, Omololu Olunloyo, Bishop Ayo Ladigbolu, Afenifere National Leader, Chief Ayo Fasoranti, national leader of the Alliance for Democracy, Mojisolowa Akinfenwa, a governorship aspirant in the state, Seyi Makinde, and the state Governor, Abiola Ajimobi, who was represented by his Chief of Staff, Gbade Ojo. The communiqué read, “The Yoruba were known to be on the front line of various aspects of human endeavour such as in education, business and industry. Unfortunately, the Yoruba appear to be losing this position. It is therefore very imperative that we re-invent ourselves. “The Yoruba must use their knowledge to address Nigeria’s challenges. Yoruba in various agencies of government at all levels should always be conscious of their responsibilities to their race. In his address, Ladigbolu called on Afenifere leaders to stay off politics and play neutral role in their quest to unite all Yoruba people. Ajimobi in his speech noted that it should be the utmost desire of the Yoruba to promote federal stability because of the economy of large scale and benefit of comparative advantage. “This should, however, not be at the expense of the progress of the Yoruba nation. The race must continue to be at the forefront of the agitation for the strict application of the federal character principle as enshrined in the 1999 Constitution of the Federal Republic of Nigeria (as amended); to ensure that appointments to public service institutions fairly reflect the linguistic, ethnic, religious and geographic diversity of the country,” he said.